Sandra: Hello, International Space Station, Sandra speaking. Agent 54: Uh, this is Agent 54. Sandra: Asian 54 what? Oh, you mean that hot new band. Agent 54: No, my name is Agent 54. Sandra: Wait a minute. Okay, I forgot that I had cotton in my ears because I took a shower and you know, in space the water will get in your ears unless you use cotton and so now, Asian 54, what can I do for you. Agent 54: My name is Agent 54 and I’m with the NSA under the DORD. Sandra: Oh, I know who you guys are. You’re the ones who spy on us all the time and turn our personal business into jokes. Agent 54: Right! That’s us. Sandra: So why are you calling me? 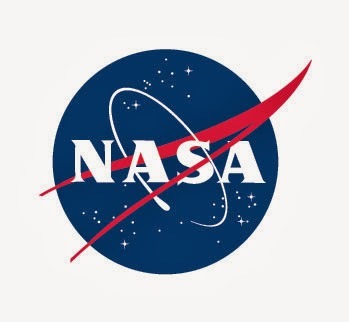 I mean NASA and NSA don’t have anything in common. Sandra: (interrupting) Oh, I love Jimmy John’s sandwiches. They’re so fresh and they deliver in no time. I wish I could have one delivered now up here. Wait! Let me guess. You were gonna order a Gargantuan. Agent 54: Yes I was. Say, you’re Sandra Bullock aren’t you? Sandra: I knew it. They’re the best. I should have packed some in an extra suitcase before coming back here. Oh yeah, it’s me. Sandra stuck in space again. Agent 54: Yeah, your movie, Gravitivity is out now so why are you up there? Sandra: Oh, it’s Hollywood. Sometimes they want to shoot the sequel right away before they even know if the first movie is going to be a hit. Oh yeah, it’s called Gravity by the way. Agent 54: Yeah, I knew that. Sometimes I’m a clown. Hey! I got a great name for the second film. How about: Too Much Gravity? Or Two Much Gravity? Sandra: Humm, not bad clown boy. Agent 54: So, you know I’ve been a big fan of yours since you made “Love Potion No. 9”. And of course everyone loved you in “The Blind Side”. Sandra: Aww, that’s so sweet. Agent 54: So, well, I know your last husband was a jerk to you, so if you are still free, well, you know my wife and I discussed it and you know, if you want to hook- up with me, it’s okay with her and even if you want to hook- up with both of us, well, we’re cool with that. I’m sure we can make some kind of special arrangement that works for all three of us. Sandra: Yeah, that’s a tempting offer there Agent 54 and I’m sure you’re a nice man and all but, I have a sweetheart waiting for me back on earth thank you. Agent 54: Oh, of course you do. I knew you wouldn’t be on the market for very long. Well, if that doesn’t work out. Let me give you my number. Sandra: No, That’s okay. I think it’s going to all work out with this guy. Agent 54: Sure, and if you want to get in touch with me for any reason you can do it through the NSA. Just ask for Agent 54. Everyone knows me here. I’m kinda star in my own little universe. Sandra: Hey, since you’re with the NSA and you guys know everything, tell me, William Shatner, is that his real hair? Agent 54: Heck no! 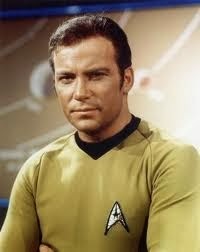 I gotta tell ya, someday I hope to be half as cool as Captain Kirk’s toupee. Sandra: Oh yeah, me too. I mean I love Star Trek. Agent 54: You already are as cool as Bill’s toupee. Sandra: Aww, you’re so sweet. Well, it’s been nice chatting with you on this celestial wrong number. Agent 54: Yeah, very nice for me too. Sandra: Well, I gotta get back to work soon. Agent 54: Oh yeah, I gotta eat my lunch or I’ll be grumpy as a grizzly bear by 2:30. Agent 54: Bye click, Bye. Wow, wasn’t Sandra just the nicest. You know I feel bad for her because the men in her life haven’t always treated her the way she deserves to be treated. She really deserves someone like me. Life can be unfair. Hey! The kid from Jimmy John’s is here and he’s got my sandwich. Somehow they were listening in on my conversation with the beautiful and talented Sandra Bullock. Wow, this is my lucky day. Hm....I want my next wrong number to be Will Smith. I'll make sure I mention or at least think about fajitas from my local Mex place. I'll see if my friends at the NSA can arrange that. Thanks. Bwahahahahahahaha. Okay hand over that sandwich. They are sooooo goooood. Thanks and come again. ( I vote today, did you?). Careful, this is a family show. Thanks for playing. Lucky you. Not everyone gets a movie star on the other end of their wrong numbers. Very lucky day for me. Sandra is one of my favorites. Thanks. Man, Sandra is a babe. I have always loved her. What the heck were these guys thinking? Oh yeah, she's the cream of the crop and as nice as can be. Ah well, maybe in my next life. Thanks for playing. Howdy there Big Boy ! A White Horse Fell In A Mud Puddle. That's all I got for you today !! Will think of something else very soon. What a dirty joke! Thanks for the hugs. I always thought Sandra was a sweet girl who loved good wholesome stuff like Star Trek and sandwiches and toupees. I haven't seen the space film - is she good in it? P.S. Reading between the lines, I think she has the hots for you. I didn't see the film yet but, I know she's wonderful in it. Maybe I should get a toupee. Thanks. Ha! Hey, how's the call reception in space? Probably great, way up there next to the satellites. That's great you got to speak to a celebrity crush, one of my biggest is coincidentally William Shatner. If you get him on the horn, give him my number. Too bad you couldn't send her a 12". Sandwich, I mean. Jimmy John's is freaky fast, but I don't think they have spaceships. Yet. Thanks for sharing that amazing story! My wrong numbers all sound like drug dealers, but they won't deliver either. I'll check my NSA files for a number for Bill for you. Jimmy John's spaceships, now that's worth staying alive for a while to see. What a cool post Timothy! 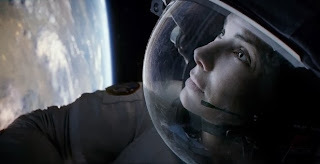 I love Sandra Bullock too. I saw the movie gravity and I really enjoyed it. Her acting is superb and the special effects in space were marvelous. I really enjoyed this too. It is very creative, humorous and fun. Have a great day! I haven't seen the movie yet. Maybe I'll take my wife this weekend. Thank you for your kind words. My pleasure. Thanks for playing. You're too kind. This one wrote itself. Jimmy John's is everywhere. They have their fingers in everything. That is how they are so fast, they decide what to send and then manipulate you into ordering. I think I see a Jimmy John's guy at the window, and I am on the 7th floor. The Jimmy John's guys are amazing. Sandra is so nice. I just searched and apparently there are several Jimmy John's in my area. Along with every other sub franchise imaginable. Too bad my husband doesn't like sandwiches. M'eh, more for me. And you. And Sandra. Yes, more for Sandra and I. Wasn't she great! Wow. yeah, let me accidentally dial Mark Wahlberg or Kid Rock. Don't know what they'd be doing in outer space . . . but its still a good interview. Yeah, I really got lucky and Sandra is so nice. Yes, I really got lucky. Thank you. Glad you enjoy my silly stories.